ALIKAR Center for Peace, Human rights and Democracy is condemning the suicide bombings and multiple attacks that took place on 14th of April 2013 in Mogadishu, the capital of Somalia. These suicide bombings and attacks have targeted and took the lives of innocent people consisting of lawyers, police, aid workers, journalist and other civilian. The center sends condolences to those who lost their family, friends and relatives in this heinous act; the center is feeling the grieve and distress with the Somali people. 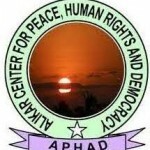 The center as well condemns the killings and assassinations of a Doctor who worked in ABUDWAK district as well as a former official of Hiran local authority that both took place on Friday in Abudwak and Balatwein districts of central Somalia. The centre is also condemning the execution of young Somali woman in Bula Burde that was travelling on Vehicle to Balatwein, the girl was stopped in Bula Burde where she was latter executed in front of a crowd of residents in Bula Burde. At the same time ALIKAR Center is against and opposing to gender based violence and sexual violence that is perpetrated against Somali women and girls all over Somalia especially to the internally displaced persons who are the most vulnerable. The center recommends those perpetrators who are behind the acts of sexual violence to be brought to justice ALIKAR Center is warning against renewed violence and clan fighting in JUBALAND and the lower Shabele which could add to the suffering of the local Somali people living in this area who have been in chaos for the past 22 years.